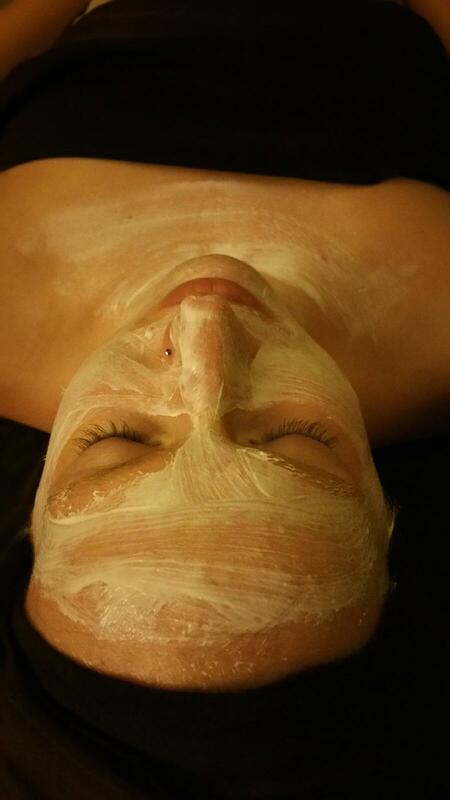 The Spa Newbie Gets a Facial! We put our intern, Alyssa’s next spa service to test out to a vote and by a close margin, our Facebook fans (and ALL of our estheticians!) suggested she try our EV Signature Facial. Here’s what Alyssa had to say! The votes came in and I was chosen to try the EV Signature Facial Experience. The past few years I started to struggle with dry skin and am constantly having to apply moisturizer. I’m secretly happy (I guess not so secret now) that this is what was selected by all of you! I have always wanted to get a facial, but never knew where to go. Never having a facial before, I was not sure what to expect. Camille used a light on my face to see what problems were going on that can’t be seen by the naked eye. She was able to adjust the treatment specifically towards my skin care needs. She used a Clarisonic for a deeper clean and to make the skin more receptive to the products. I also had steam, which helped to detoxify the skin and soften pores for easier extractions. Not only did this facial include attention to my face, but I also received treatment to my arms, hands, face, neck, and feet. Camille explained each process with me and it was nice to understand why. With this, I was able to understand what type of home care I needed to use. Camille explained whether you have sensitive or problematic skin, facials are great for deep cleansing and exfoliation. They stimulate new cell growth for a fresher, younger look. She recommends to come in every 3-4 weeks so your estheticians can monitor your skin changes and adjust at home care accordingly. 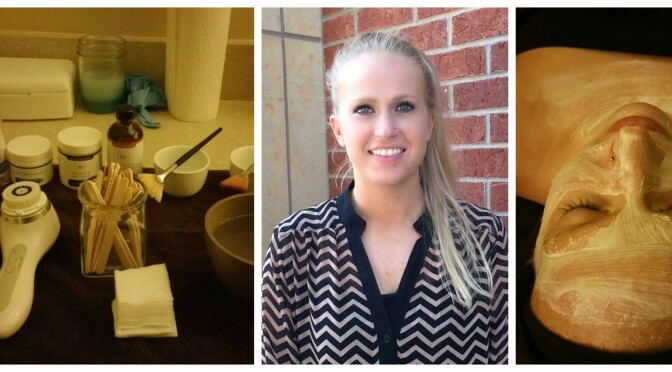 The arsenal of products that Camille, Alyssa’s Esthetician, chose to use on her skin. After receiving the facial, I noticed that my skin appears much healthier looking, more moisturized, which made the expression lines on my forehead less defined. The treatment left my skin feeling very smooth and silky. I highly recommend the EV Signature Facial Experience. I’m a believer. It was truly what my skin was looking for. Be sure to check out my next blog when I will be spending the day as a Massage Therapy Student at the school where Cassie teaches! Are you inspired to try a facial? Click here to book your own EV Signature Facial Experience and meet with one of our skilled and relaxing estheticians. 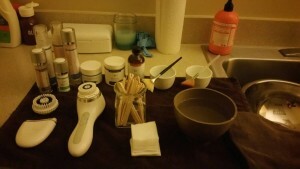 This entry was posted in Skin, Skin Care, Spa Team, The Spa Newbie and tagged Clarisonic, facial, Rhonda Allison, spa newbie by Cassie. Bookmark the permalink.